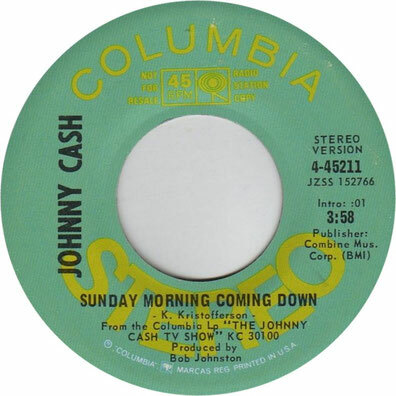 Johnny Cash performs "Sunday Morning Coming Down"
"Sunday Mornin' Comin' Down" is a song written by Kris Kristofferson that was recorded in 1969 by Ray Stevens before becoming a number one hit for Johnny Cash. 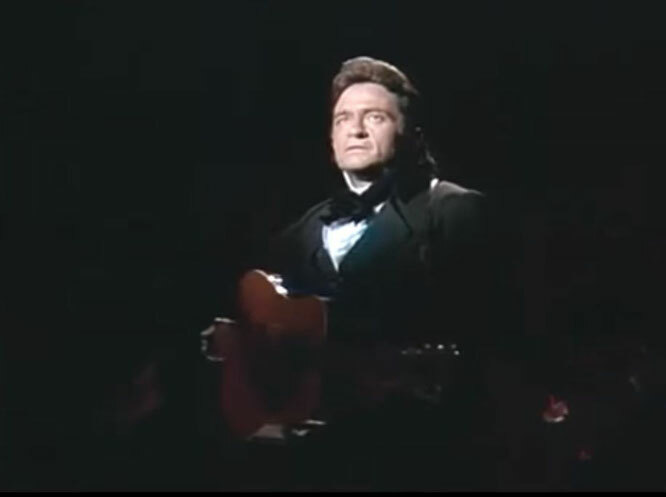 With the monologue edited off, it would appear on the soundtrack LP The Johnny Cash Show the following year, as well as being issued as a single (Columbia Records 4-45211). Cash's version won the Country Music Association Award for Song of the Year in 1970 and hit number one on the country chart.